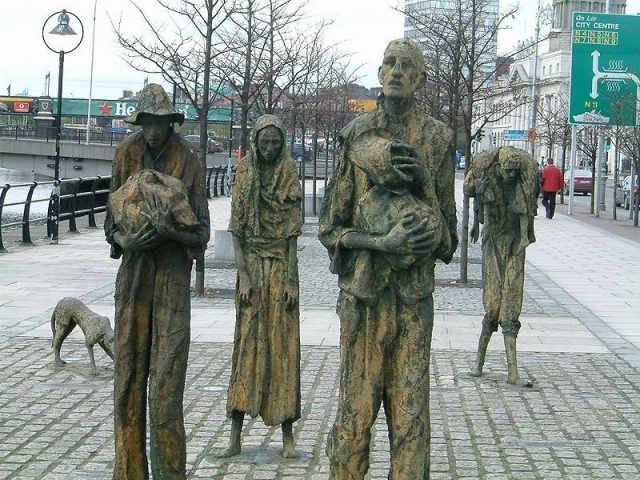 In this podcast Professor Peter Gray examines the impact and significance of the Irish Famine and looks at why it was so devastating. 1. Introduction - the most serious peace time catastrophe in 19th Century Europe. 2. Why was Ireland so poor? Why was the potato so important to the labouring poor? 3. The Potato Blight: Ecological catastrophe, international food shortage and inflation. 4. Was the blight alone responsible for the Irish Famine? What other things contributed to the devastation? 5. A crisis of entitlement. 6. Human agency - the response of the British State. 8. Emigration to UK and North America. Coffin ships. 9. Conclusion. Questions of responsibility and indifference.